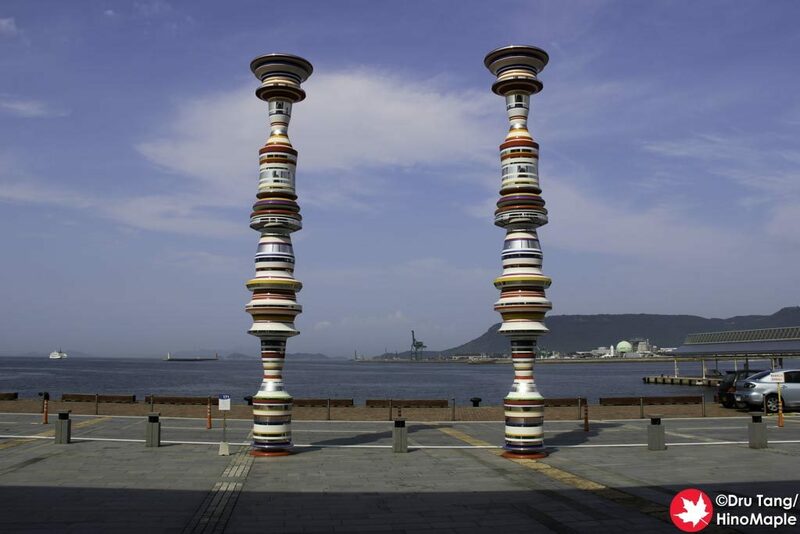 Liminal Air -core- is the key art of the Setouchi Triennale. 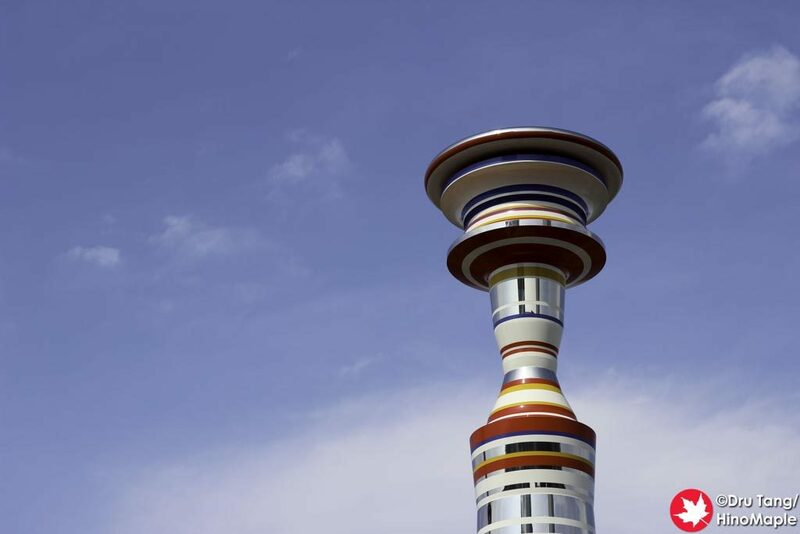 It is the art that welcomes you as you come and go from the islands and it is one of the first artworks you will see. 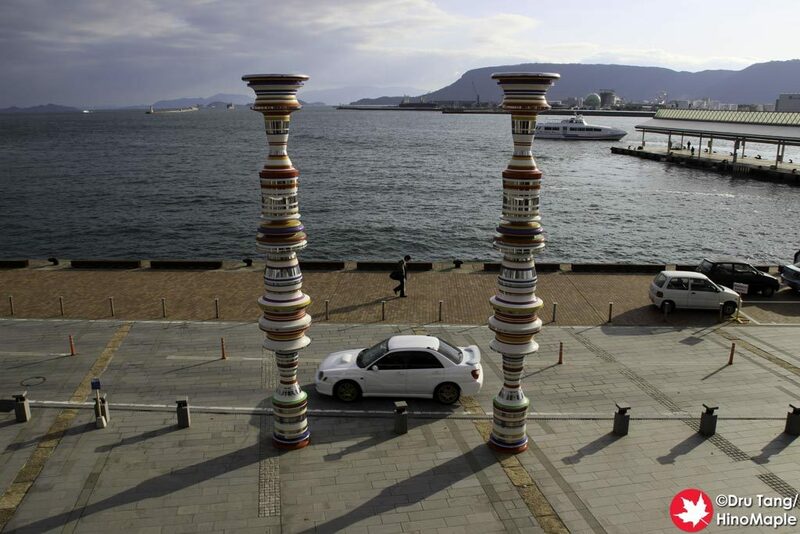 Shinji Ohmaki created two identical pillars that act as a gateway to the harbour. 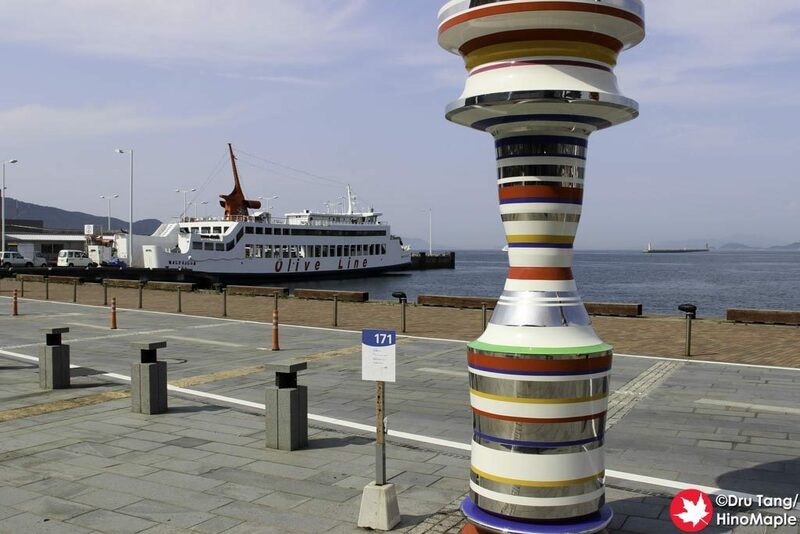 Located between the ferries to Shodoshima and the ferries to Megijima and Ogijima, Limina Air -core- is a wonderful artwork that may be overlooked by many people. Liminal Air -core- is such a photographic artwork that I have too many photos of it. 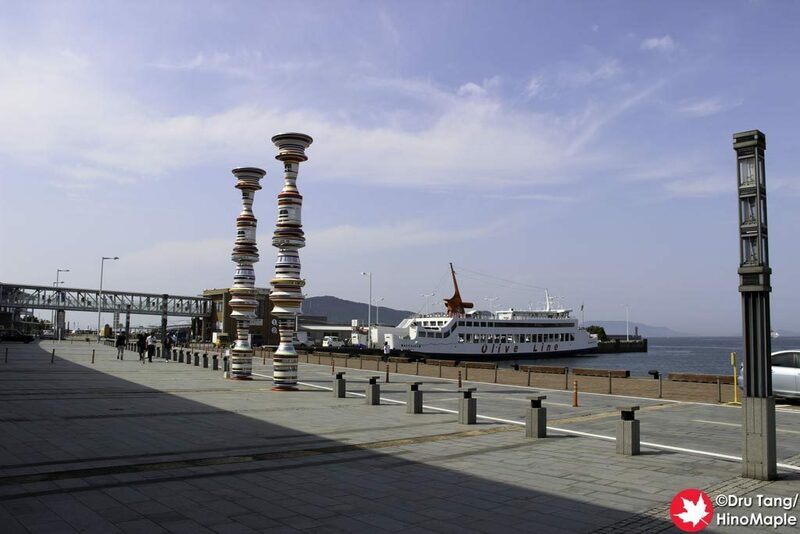 It didn’t hurt that I was at that artwork the most during my visit to the Setouchi Triennale in both 2013 and 2016. 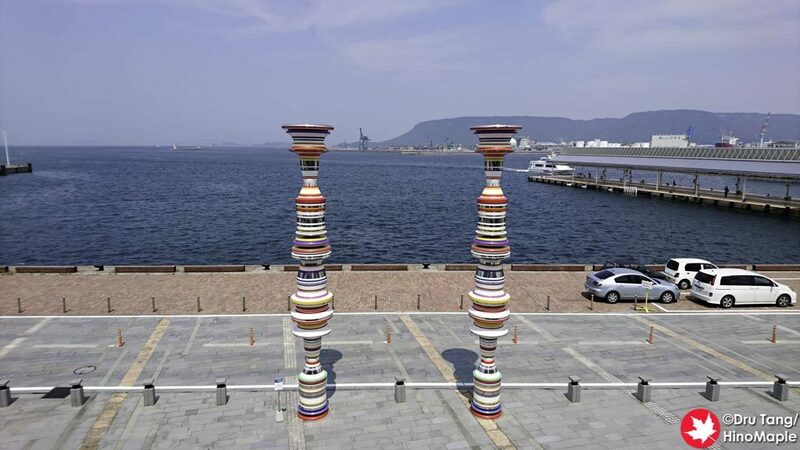 In 2016, I felt happy when I saw Liminal Air -core- as it was a reminder that I was indeed back at the Setouchi Triennale and that more art awaited me on the islands. 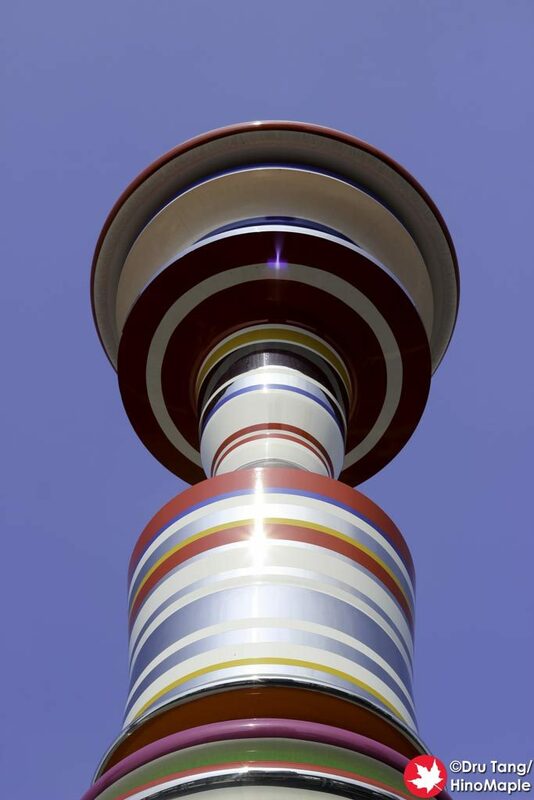 The two columns are really beautiful with a plethora of colours along with a mirror finish. 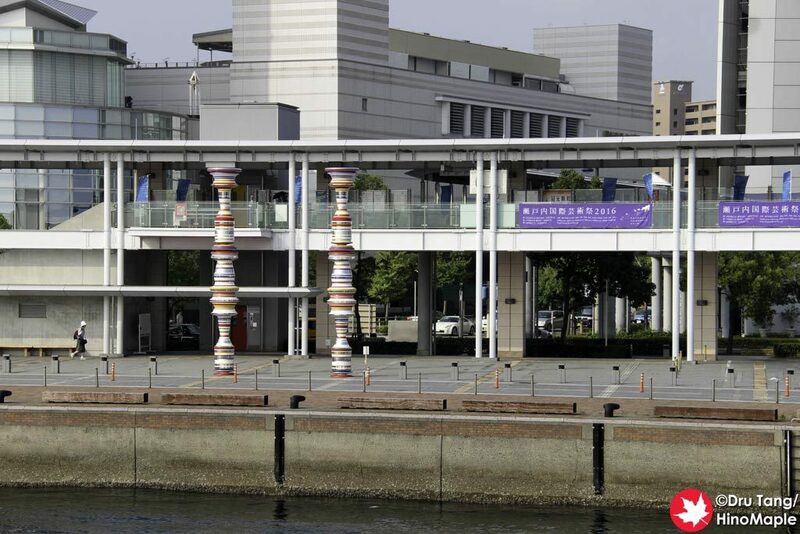 The colours and mirrors are all in bands making the light shine off of the columns in different ways. 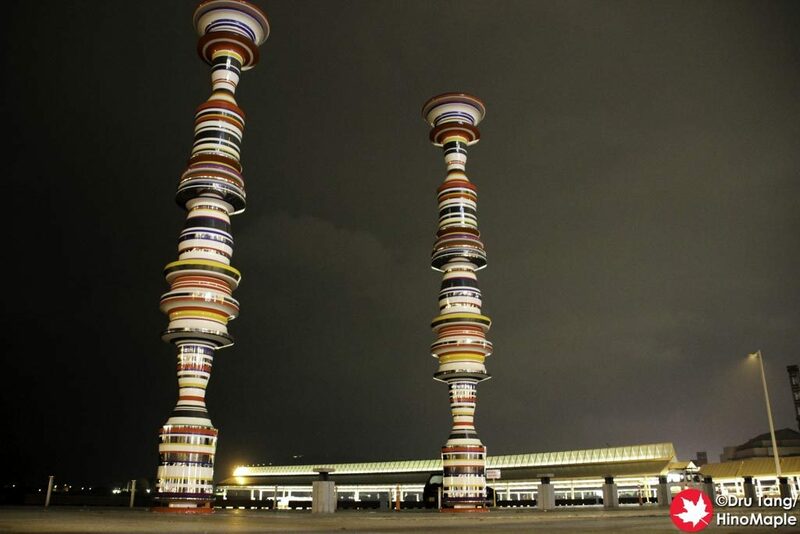 While the artwork doesn’t physically change, its appearance does change throughout the day and at night. 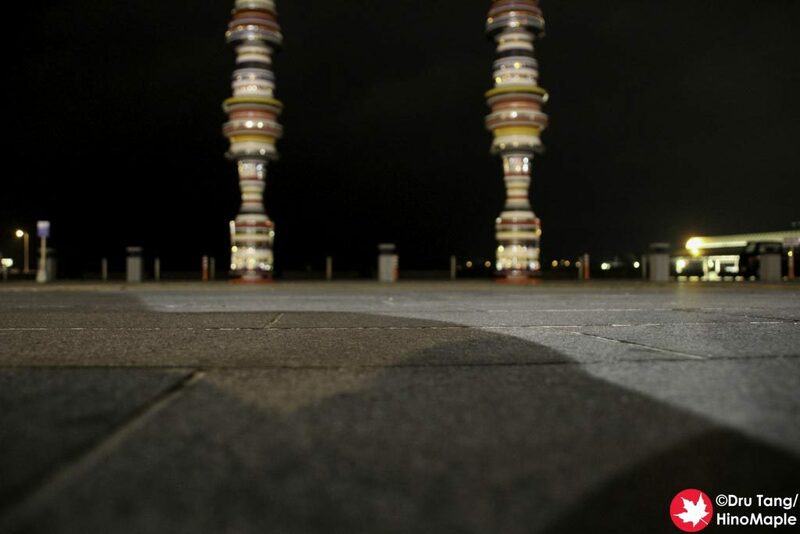 One of my favourite things about Liminal Air -core- is the fact that it is very mysterious at night as well. 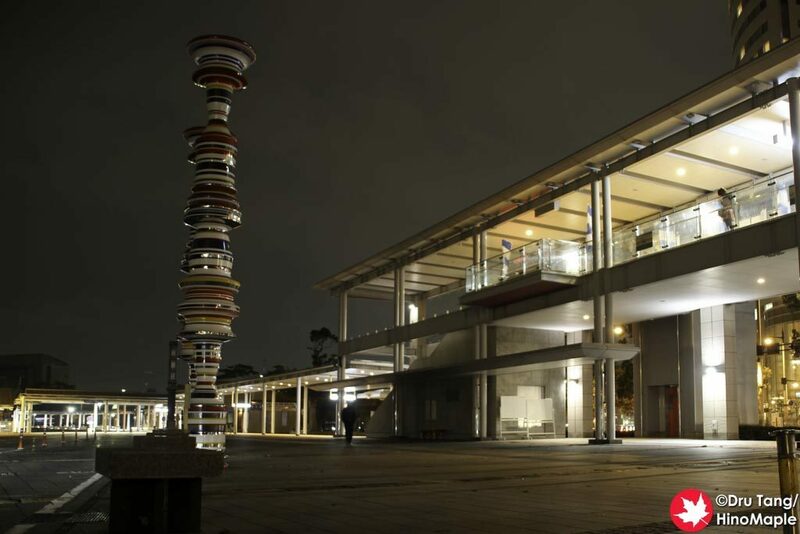 If you are staying near JR Takamatsu station, a visit to Liminal Air -core- at night is a must. 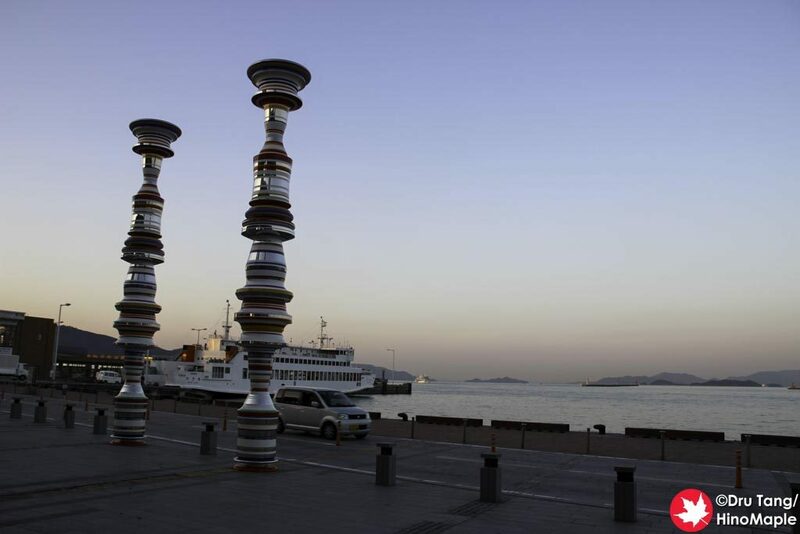 Taking photos with the lights from the ferries and the pier really adds mystery to this artwork. 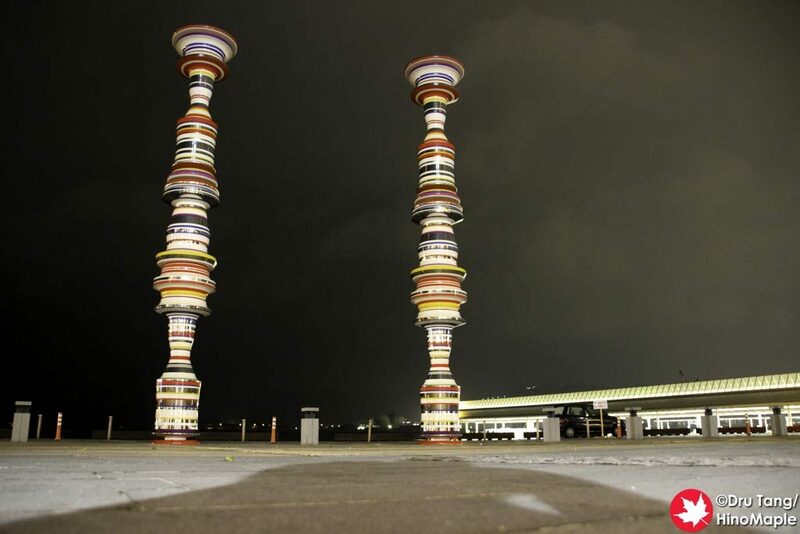 The other reason I love this artwork is because there are benches nearby. 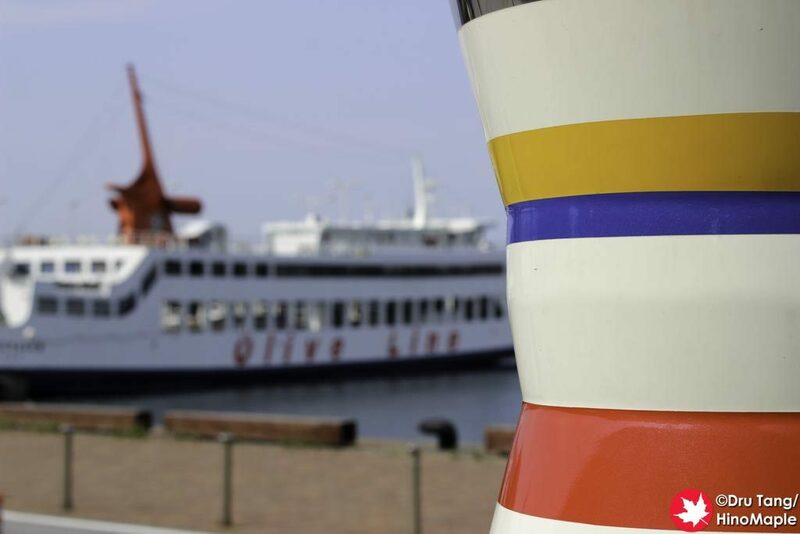 I had a lot of time between sailings as I didn’t plan my schedule to the max. I had an hour here and an hour there. I really loved spending time eating a little gelato and watching the people go to and from the islands. I was a bit jealous of them but I was also happy to just enjoy Liminal Air -core-. It seemed to just speak to me in a way that was calming. When you visit Liminal Air -core-, do not do so in a hurry. 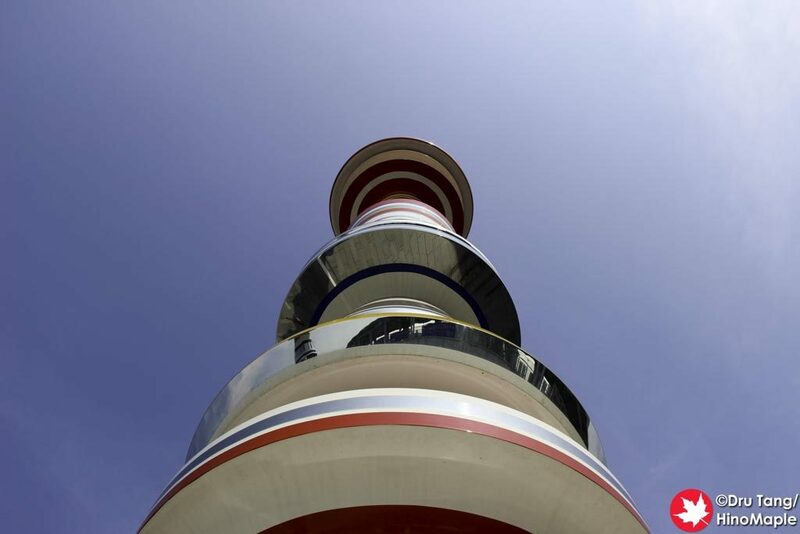 Do plan a good 10 minutes to enjoy the artwork. 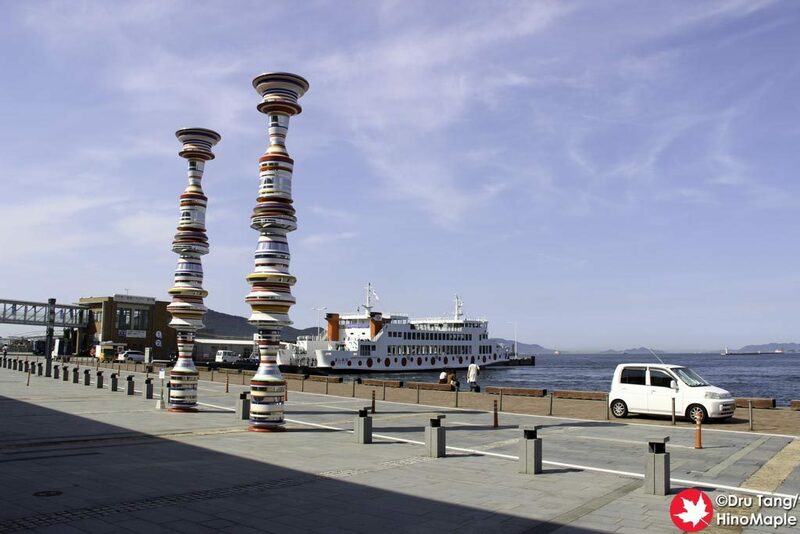 People will be coming and going but there is so much you can do with this artwork. I really enjoyed it a lot and look forward to seeing this “good old friend” again in 3 years, or perhaps less. 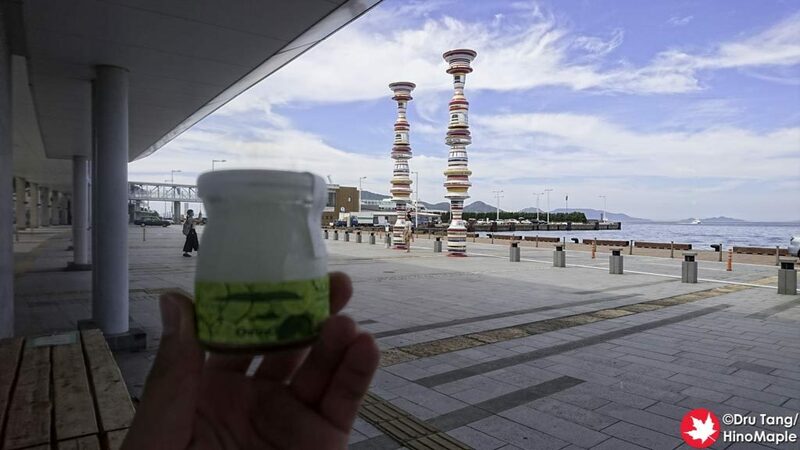 This entry was posted in Setouchi Triennale and tagged japan, Liminal Air -core-, Setouchi Triennale, Shinji Ohmaki, Takamatsu by Dru. Bookmark the permalink.